In Janet MacFadyen’s Waiting to Be Born, the weary world washes clean, and we find what emerges in the poems is tender, resilient, savory, exact, and formally delightful. Take these poems along with you as a guide, compass, and reminder of what is around you in the sensory exploration of the everyday world. its circle in the sand, the sleeper’s face against the glass. around each other, spinning dervishes. is the wind, the earth a single shaking room. I ever sent you tumble in with bits of acorns. Why are we quarreling over which log to burn? Burn all these words! They’re cluttering my good mind! of reading right here: you start with me, I’ll start with you. Janet MacFadyen is the author of A Newfoundland Journal (Killick Press) and two chapbooks: In the Provincelands (Slate Roof Press) and In Defense of Stones (Heatherstone Press). 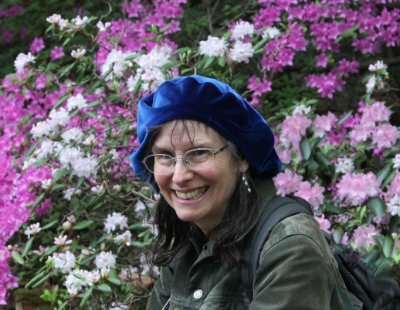 Her work has been nominated for the Forward and Pushcart prizes, and has appeared in numerous journals, including The Atlanta Review, Crannóg, The Malahat Review, Osiris, Poetry, and Terrain. In addition to a fellowship at the Provincetown Fine Arts Work Center, she has had residencies at Cill Rialaig (Ireland) and the Fowler and C-Scape dune shacks in Provincetown. She works as a freelance editor and teaches community poetry workshops. She lives in the tangled woods of western Massachusetts.